Aspidosperma spegazinii Molfino ex T.Mey. 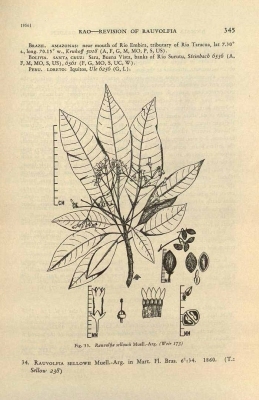 A botanical publication, it includes a treatment of the genus Rauvolfia. It can be downloaded from the Internet. S. America - Argentina, Paraguay, Brazil.